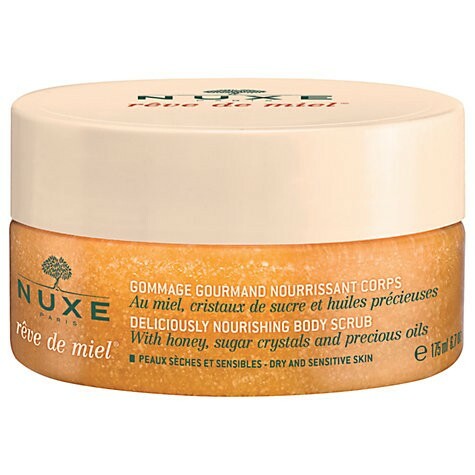 A must-have in every skincare routine, the Nuxe Reve de Miel Deliciously Nourishing Body Scrub will eliminate dead skin cells from the body, whilst providing a dose of nourishing care all over. Formulated with a blend of sugar crystals, rice grains, honey and precious oils, the indulgent scrub will exfoliate and refine the skin’s texture, whilst leaving a smoothing protective veil over the skin. Thanks to its floral honeyed scent, the exfoliator will not only leave skin silky smooth and radiant, but delicately perfumed with an enchanting aroma.